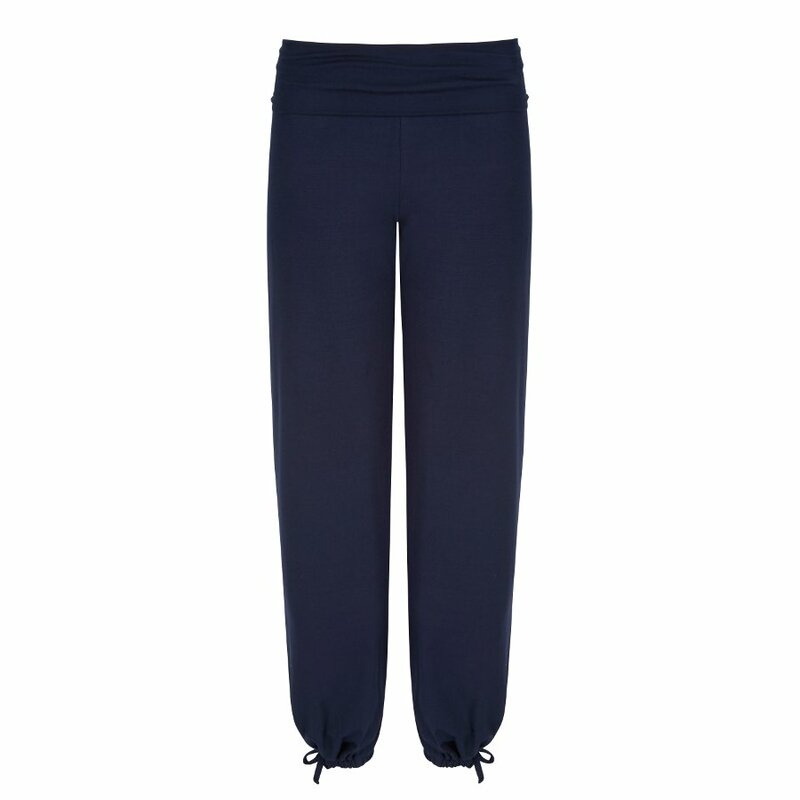 These super soft bamboo jersey pants feature fabric ties at the ankle so that the trousers can be worn at knee or ankle length – a versatile addition to any wardrobe. With soft elastic and a 3-inch foldover at the waist for gentle support and extra comfort. Embellished with a discreet row of Swarovski crystal, the Asquith signature. 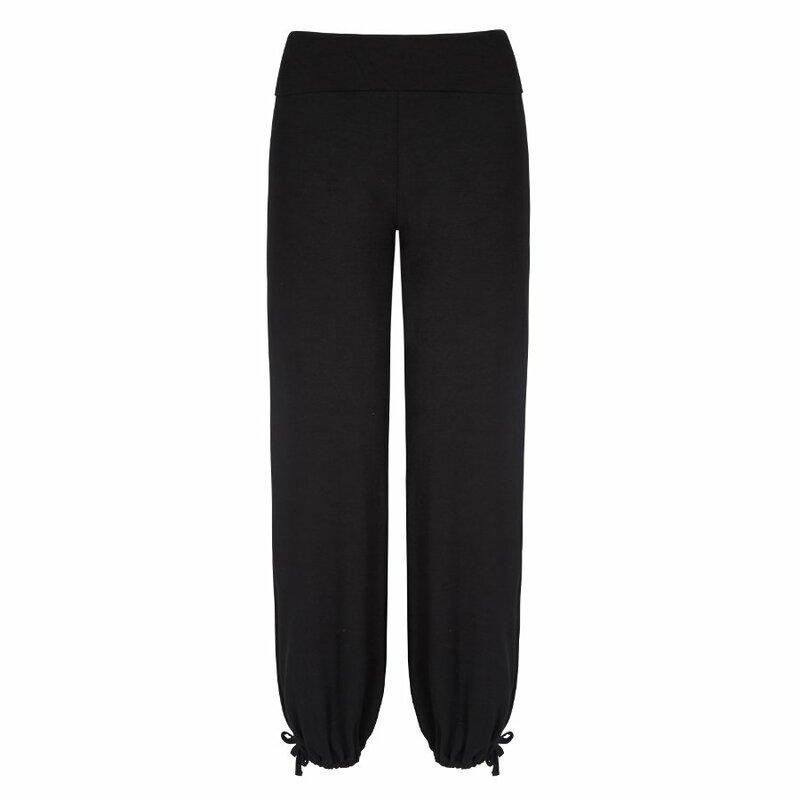 Perfect lounge or leisurewear and for yoga and pilates. Bamboo is a fast-growing sustainable material that uses minimal resources and creates a naturally breathable and soft fabric. The bamboo hero tie pants from Asquith are made in a factory in Turkey where employees work in excellent conditions, work a maximum of 45 hours per week and are given holiday pay. 24" 26" 28" 30" 32"
34.5" 36" 38" 40" 42"
30" 31" 31.5" 31.5" 31.5"
The Asquith Bamboo Hero Tie Pants product ethics are indicated below. To learn more about these product ethics and to see related products, follow the links below. There are currently no questions to display about Asquith Bamboo Hero Tie Pants. Established in 2002 by Alice Asquith. Asquith produce yoga and Pilates wear with a classic enough style to wear everyday as loungewear. They pride themselves on soft and exceptional eco fabrics which are sustainable. Made to an extremely high luxurious quality all garments are naturally breathable, don’t fade, stretch or bobble. Alice’s ambition is for women to look and feel amazing in her clothing as they have been constructed in a positive way and are ethical and eco friendly. Asquith have always been sweatshop free and never put profit before the planet. They have a team of 50 working in a family run factory in Southern Turkey. All staff enjoy 9-5 working hours and get paid for holidays. All packaging the company distribute is recyclable. None of the products contain animals and no animals are tested upon. All products are durable thus better for the planet.